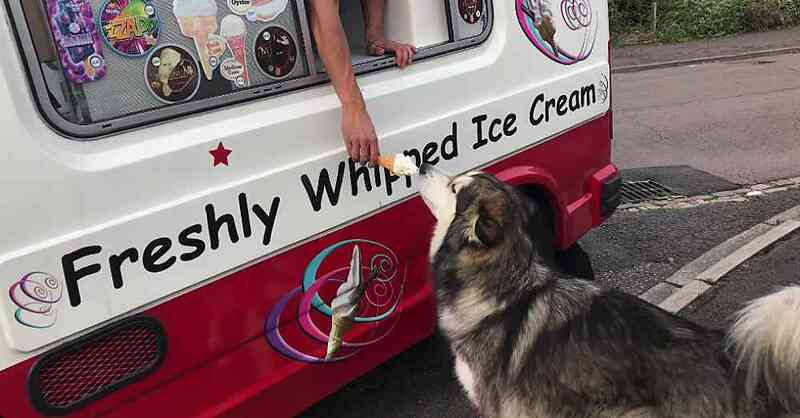 Alaskan Malamute Waits For The Ice Cream. There’s nothing more typical of a happy summer day than the jingling music of the ice-cream truck. Children quickly learn to associate the music with tasty frozen treats, and as adults the tinny music reminds us of warm days and drippy popsicles. Somehow, despite advances in technology, the old-fashioned ice cream truck remains a summertime staple. 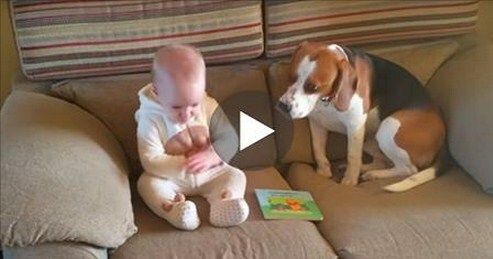 But humans aren’t the only species that can appreciate drive-by treats. 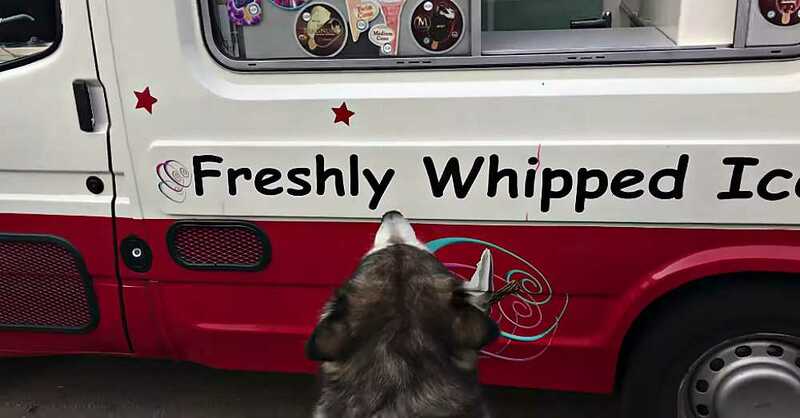 Mishka the three-year-old Alaskan Malamute loves her neighborhood’s ice cream truck, and she waits faithfully for it to drive by each day. She loves the ice cream man, and she loves ice cream! 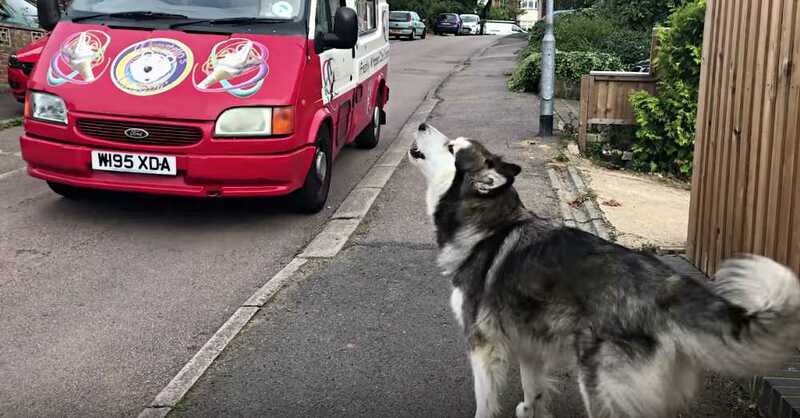 Now, Mishka’s human counterpart is quick to point out that she doesn’t get ice cream every day. It’s a rare treat for her. 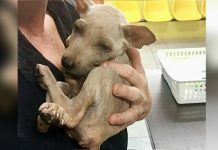 But, lucky for us, in the video below she does get to enjoy a delicious frozen treat! She waits patiently to be served—no jumping and begging for this doggy—until the ice cream man reaches down to offer her a fresh cone. Such a good pup! 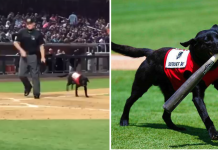 She takes a bite… then takes the cone! 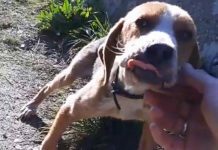 This is the perfect video to remind you of summer even on the coldest day… especially if you have a pup and an ice cream cone by your side!